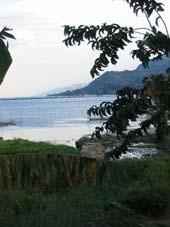 Liberta Home Stay, run by Mr Moon is a relaxed place to stay on Lake Toba in Tuk-Tuk. 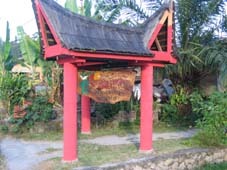 They have 9 rooms in traditional Batak houses set in beautiful gardens growing guava, ginger, lemon grass, chili papaya and other fruit and vegetables. Mr Moon really looks after his guests giving great advice and helping with all of your needs. any backpacker! 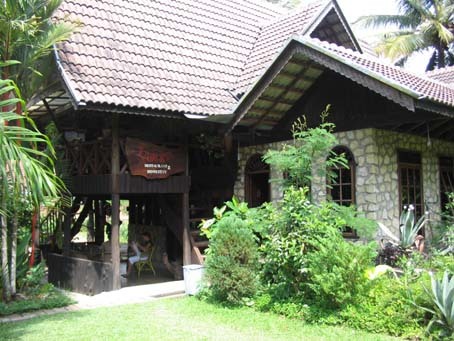 The best place we stayed in south east Asia by far!! We intend to keep in touch! 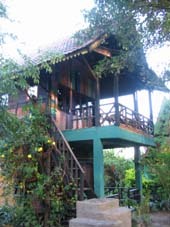 A charming place with an owner really smart gallant courtesy, invite all those who want to spend a period of rest healthy physical and intellectual to visit the homestay Liberta. The prices are really cheap but a superior service also the food is great. Even though i stayed there only few days, but feel like i dont wanna come home, coz i already felt like i am at home.. what a wonderful place for relaxing, with delicious foods, clean and friendly people (especially Mr. Moon). if i have a chance to have another holiday there, i'll prefer to stay at Liberta. Thanks Mr. Moon for everything.. I stayed here for a month. Mr. Moon is a G and cheapest beer on the island! great food too. go for the happy shakes..
Liberta is very cool and Mr Moon rocks! I've stayed at a few places in Tuk-Tuk though really felt at home here. 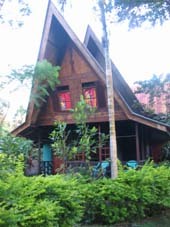 I stayed 10 days in the front Batak house with the view of the Lake. Upstairs from the restaurant is a big TV with DVD and Mr Moon always has a good selection of DVDs to watch for free.